When addressing a fertility challenge over age 35, many of our clients seek medical guidance in addition to using natural therapies. A medical doctor or reproductive endocrinologist (RE) can assess hormone levels, check the uterine lining, and share information on the health of the ovaries. While natural therapies support good nutrition and normal hormone balance, having medical guidance is also important for preparing for a healthy conception as you grow older. Your medical doctor or RE may recommend fertility medications to promote follicle production and ovulation or increase the uterine lining if you’re struggling in these areas. While medications offer new hope for some age-related fertility problems, they also have drawbacks and risks. Having knowledge about your options is a critical step in deciding what’s right for you. The following list provides a short sampling of common drugs used for fertility and what you can expect from them. It is by no means complete and is presented for reference only. Note: Always ask your doctor and pharmacist for details on a medication’s risks and side effects. They are experienced and have valuable knowledge to share. Clomid (Clomifene, Clomiphene): Clomid is a Selective Estrogen Receptor Modulator (SERM), which pushes the body to ovulate. Today, it’s widely used to stimulate ovulation for women with PCOS, anovulatory cycles or unexplained infertility. Pros: Clomid can increase likelihood of ovulation and chance of conception for some women. Cons: Can cause ovarian cysts and increase risk of pregnancy with multiples. It can also cause hostile cervical mucus, vaginal dryness, headaches, fatigue, mood swings, hot flashes and abdominal discomfort. Femara (Letrozole): Femara is an aromatase inhibitor, which, like Clomid, increases ovulation for women with PCOS, anovulatory cycles or unexplained infertility. Pros: Early research finds Femara has improved ovulation outcomes, and decreased risk of multiples and side effects compared to Clomid. Cons: Can lead to fatigue, hair loss, hot flashes, trouble sleeping, joint or muscle pain, numbness or tingling, and diarrhea. Oral Contraceptives: Oral contraceptives can be used to simulate a menstrual cycle for women who have no regular menstrual period, or to regulate the cycle that precedes IVF treatment. Pros: Oral contraceptives can stimulate a breakthrough bleed similar to a normal menstrual cycle, and possibly improve response to fertility medications. Cons: May cause fatigue, mid-cycle spotting, vaginal irritation, breast tenderness, weight gain, bloating, or headaches. Contraceptives prevent pregnancy with a high degree of accuracy. Long-term use has been shown to cause hormonal imbalance. Gonal F/Follistim/ Repronex/Menopur*: These drugs are gonadotropins, which contain FSH (follicle stimulating hormone) and/or LH (luteinizing hormone). They directly stimulate the ovaries and encourage increased follicle production. Pros: Can improve follicle production for women with diminished ovarian reserve. Cons: May lead to headache, nausea, stomach pain, bloating, pain in the injection site, vaginal bleeding, or tissue swelling. Human chorionic gonadotropin (hCG) or Lupron-Trigger shot*: The “trigger shot” is used to finalize the follicle maturation process and stimulate ovulation. Pros: Can trigger ovulation with mature oocytes. If Lupron is used, it can reduce risk of OHSS (ovarian hyperstimulation syndrome) during IVF. Cons: Can be hard to time correctly. If the trigger shot is done too soon, few oocytes will be retrieved. If it is done too late, the oocytes will be too mature and won’t work for IVF. *IVF Injectables: Medications are required in preparation for and during IVF. If you want to know more about why and/or to learn more about side effects, be sure to ask your endocrinologist and his/her team. It’s important to remember that while fertility medications can help you achieve a healthy pregnancy after age 35, they work outside of natural body processes. Fertility drugs are highly stimulating and powerful. You may have a period of adjustment as your body acclimates to the changes. Many women may need to make dosage adjustments or medication timing changes with their doctors, so it’s important to stay in close contact. Use fertility medications with care, forethought and medical guidance. 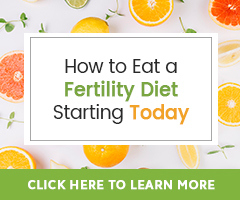 If you’ve been using fertility medications over many months without results, your body and reproductive health may benefit from a break or a Fertility Cleanse. Most fertility drugs are best used temporarily to boost fertility and conception chances over age 35. Whatever your choice, you can use natural therapies to help your body prepare for a cycle with fertility medications, encourage a speedy recovery afterward, or promote body balance and health if you become happily pregnant!